Just popping in quickly to share a little shabby card. I've strayed a bit from this style in recent times, but it's always good to reminisce with an old favorite, don't you think? To start this card, I stamped some zigzag patterns on plain cardstock and added a little diagonal stripe to the bottom with some dotted washi tape. For the frame of the card, I used a scalloped chipboard, and tucked just underneath it, some more patterned paper as well as a wreath cut using PTI's Rustic Wreath die. I love, love, love this little die so much. It's incredibly versatile and so fun to use when your project needs that little extra something. Plus it works for all seasons, all themes and it's just so fun to decorate! To decorate the center, I added a couple of paper straws (I love this shoppe the mostest -they have so many colors!) and made tiny pennants out of paper to create a couple of treat flags. 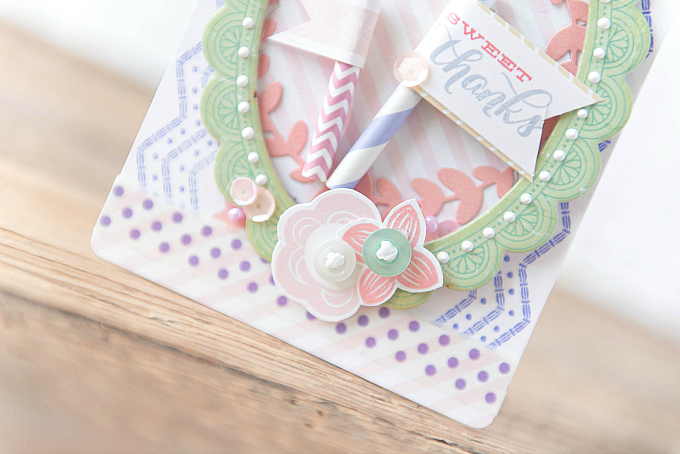 The sweet thanks sentiment is stamped in Hibiscus Burst and Plum Pudding inks from PTI. At the top of the card, I added an older-style Prima flower from my stash, and some dots around the chipboard for that little bit of whimsy! At the bottom, a few sprinklings of sequins, as well as a couple of stamped flowers from Close to My Heart's Shower Flowers set (which seems to be retired atm but any floral set will do just fine here), stamped in PTI's Pale Peony and Sweet Blush ink. 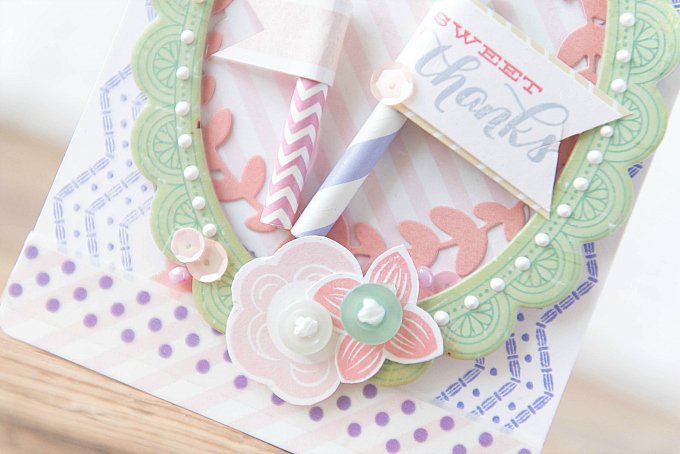 I really do like all things girly and this card is just that and then some! 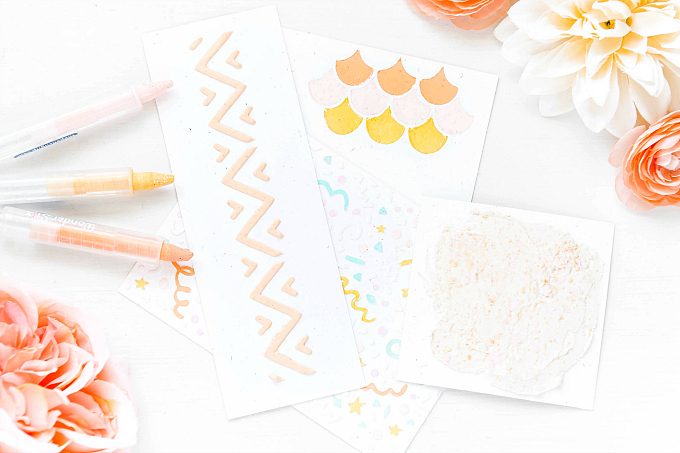 I'm sharing it in the shoppe, so be sure to check it out if you have a sweet little girl in your life that deserves a thanks! Hope you all have a great day! Thanks for joining me! Lovely card! I like the shabby chic look of the fabric bloom!